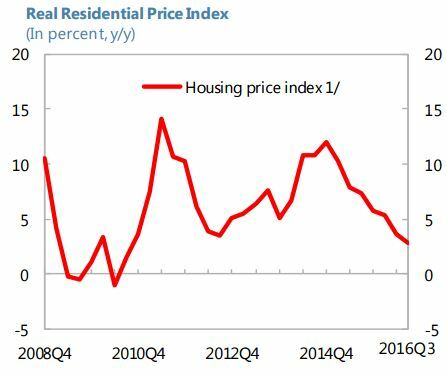 “Housing prices have grown at a relatively fast pace in Chile, prior to an impending VAT increase in 2016. Residential property sales have fallen sharply since early 2016. Housing prices are cooling down rapidly. Household debt has increased, driven by mortgage loans. Still, the price-to-income ratio has stabilized recently (…) and, the debt-to-income ratio in Chile remains low relative to advanced economies”, according to IMF’s latest report on Chile.